Arthritis has the distinction of being the foremost crippling disease in the United States; 75 million people have one form or another. The cost to the American economy is more than 14 billion dollars per year and affects one in every five people. Doctors of Chiropractic help patients with arthritis every day. Preventative care, exercise, and nutritional considerations will be discussed as a primary form of stopping or reversing this common condition. Nearly 46 million American children and adults—20% of the population—suffer from asthma and other allergies. The cost of asthma is estimated at more than $14 billion annually, with lost earnings due to illness and death adding up to nearly $5 billion. Interested in true health care reform? Discover how Chiropractic’s drug-free approach has been a blessing to countless individuals experiencing these challenges. This workshop will show you how to shift your focus onto creating what you want in your life instead of always trying to eliminate what you don’t want. It clearly defines Health, Wellness, and Wholeness and helps you see that “health is just the beginning.” We are all growing and dying at the same time, and one of these processes always dominates over the other. Chiropractic is not about bones or spines—it’s about Fully Expressing Life! Occasional stomach cramping, constipation and diarrhea are often looked upon as simple inconveniences. Ignoring such signs can easily turn into chronic and long-term ulcerations of the digestive track, which can increase the chance of colon cancer by as much as twenty times! These conditions should be avoided at all cost. Discover a systems approach that recognizes we are dealing with human beings, not simply their intestines. Do you have pain all over and feel tired and run down? Are your muscles tender—especially when touched—or has a doctor ever told you that your pain is from your muscles? We’ll discuss strategic actions you can take with lifestyle, key nutritional needs, and chiropractic care to support your body’s healing, repair, and adaptive needs of daily life. Various causes of potential ill health are due to the way you sit all day as a result of the work you do. We’ll review workstation ergonomics, high-energy seated exercises, and computer station skills for posture. Headaches are one of the top two reasons people consistently give for missing work. This workshop is designed to provide education regarding the different types of headaches and how to manage or eliminate them completely. Learn tips and strategies on keeping your heart healthy, strong, and vibrant. We will cover nutrition, exercise, lifestyle, and research that shows how chiropractic adjustments help to lower blood pressure, balance cholesterol, and help you maximize the quality of yours and your family’s LIFE. Health by choice, not by chance. We are created to live in health, not disease. Whether you like it or not, want to or not, you and your loved ones will probably live longer than you ever expected. Learn how your body is designed for health and repair as Dr. Bill illustrates powerful self-care strategies to jumpstart you to living a 100+ lifestyle that is joyful rather than frightening. This preventative guide will illustrate how to eliminate back injuries and strengthen team performance. Most adults at some point during their lifetime will deal with a lower spine injury. Learn why it will continue into a chronic episodic health issue if not dealt with properly. We’ll describe how to break this negative cycle using a chiropractic approach to dealing with this debilitating problem. This disease is not merely a disease of the aging. And yes, it is correctable! We’ll discuss strategies for keeping your bones strong and healthy with exercise, nutrition, and chiropractic care. 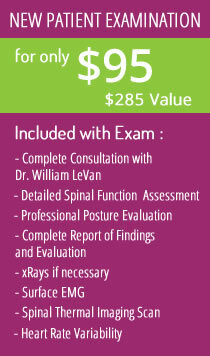 Learn how you can assess bone density simply, easily, and cost effectively. This workshop will help propel your team to greater performance by teaching a working guideline for optimal health. Whether you are a weekend warrior or competitive athlete, Dr. Bill will cover strategies of some of the world’s top athletes for healing, repair, recovery, and helping the body to perform at its absolute best. In this workshop, Dr. Bill reviews nutritional facts for healthier living. The group will then design its own working model to improve its members energy, health, and overall sense of well-being. The statistics are staggering. Every year, more than 5,000 teenagers commit suicide while another 500,000 attempt to do so. Thousands of kids are killed and injured each year in automobile accidents and horrible acts of violence that are linked to drugs. What can we as parents do to make sure that our children grow up with the self worth and values that empower them to “just say no” and use good judgment when they are out on their own? This workshop will teach you how to keep your children as healthy as possible, keep your family off drugs—all drugs—give your children self confidence and self trust, improve your family’s natural immunity, and save thousands of dollars a year on medical expenses. Why is Ritalin so controversial? Because it’s highly addictive, its withdrawal symptoms are severe, and it’s a stepping stone to other drugs—prescription and recreational. Under federal and state laws, Ritalin is classified as a Schedule 2 controlled substance. This rating is given to prescription drugs that have the greatest abuse and dependence potential. Other drugs that share this category include Morphine, Opium, and Cocaine. You owe it to yourself and your loved ones to attend this workshop and learn about a more natural and healthier approach. Recent research shows that chiropractic can help reduce blood pressure. Learn about the role that the spine and nervous system play in regulating heart function, how our lifestyle choices play a major role, and that it’s not just our genes that determine our state of health. If you’re constantly feeling weighed down, living a poor quality life, spending tons of your money on things that do not produce, it is time to change. Say YES—I want a better way. Start LIVING a better lifestyle—not a diet, but a new LIFESTYLE—of whole foods that are full of nutrients. Be made whole! “Chronic stress” can make us sick and shorten our life spans. It induces hormonal autonomic responses and can lead to ulcers, high blood pressure, arteriosclerosis, arthritis, kidney disease, and allergic reactions. Discover how to measure and monitor your body’s ability to adapt to stress as well as sources of constructive/destructive stressors. Learn how to develop simple strategies to utilize your innate potential for Self Healing! There’s no doubt that Americans are addicted to sugar. We consume an average of 150 pounds per person per year. For many of us, that means we eat our own weight in sugar every year! The sugar industry is big, bringing in more than $100 billion per year. As with any other billion dollar business, boats like this don’t like to be rocked. Join us for this presentation and find out what sugar really is, what food value it has, and what problems it causes.